misterviking wrote: Any word on whether Club Merc Year 2 is going to be new merch or a repeat? I haven’t read anything about the box. Have we already received 4 boxes? I only remember 3. PoolFan wrote: I haven’t read anything about the box. Have we already received 4 boxes? I only remember 3. The #4 box to round out Year 1 is due in early April (theme: 'Breaking it' - as in the 4th wall). Box #1 for Year 2 is themed as 'Pool Party (orders end 6/15), so it looks like new items. 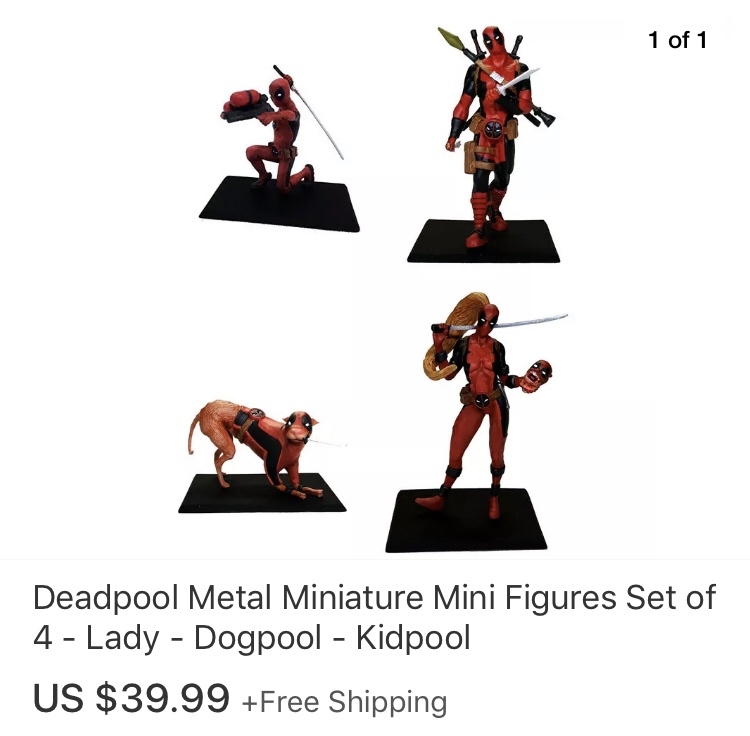 You can now get all four of the miniature metal Deadpool figures from Factory Entertainment on eBay for the original price of just one.